Home remedies for pollen allergy, spring allergies- honey, eucalyptus oil, tea, nasal spray, neti pots, supplements and much moreWarmer weather, long days and blossoming flowers; while spring brings plenty of delights, the season isn’t great for everyone. For the rest of us, red itchy eyes, constant sneezing, wheezing, snorting, coughing, itching, congestion due to hay fever and other allergies overshadow spring. While severe allergies require immediate attention of a doctor, relief for the milder conditions can be provided through home remedies. If you have pollen allergy, you know that you can’t escape pollen during spring. If the symptoms aren’t bad enough, some old allergy relief medications make things worse by leaving you sluggish and sleepy. 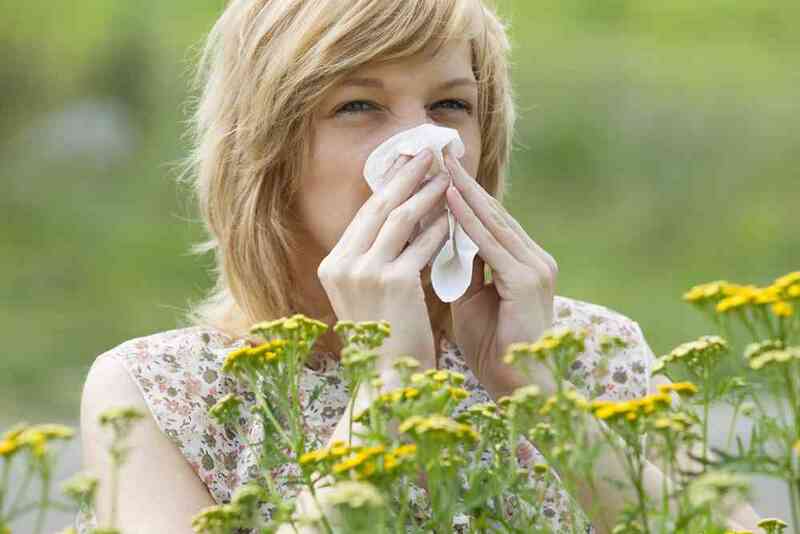 These home remedies for pollen allergy help in easing the symptoms. Pollen grains are microscopic powdery granules of flowers, which serve as a fertilization mechanism for trees, grasses and weeds. Pollen from flowers like roses rarely cause allergy. Pollen allergy is mostly triggered by pollen from grass, trees and weeds. They are mostly blown by wind so an absence of garden at home isn’t helpful. Some pollen grains can travel more than 100miles from its source. The pollen count in the air depends on the weather. It is highest during springtime due to trees pollinating, from late spring to midsummer due to grasses pollinating and then from late summer to early fall due to weeds pollinating. Neti pots are now becoming a mainstream remedy for pollen allergy. Fill the pot with salt and warm water mixture, tilt your head and pour the solution in one nostril till it flows out the other. Repeat it on the other side. This treatment helps in flushing out allergens like pollen and loosening the mucus. It is great for not only hydrating the dry nasal passages but can also help in getting pollens out. Simply place the bottle under each nostril and squeeze. Blow your nose gently on a tissue after a few seconds. Butterbur, a plant extract of herbs like spirulina, eyebright and goldenseal; is thought to be highly effective against pollen allergy. Butterbur tablets are available as an over-the-counter medicine. Freeze dried stinging nettles help ease runny nose and sinus congestion, a common ailment of pollen allergy. Avoid rubbing your eyes as it aggravated the irritation. Instead minimize the redness, itchiness and discomfort by apply eye drops. Local honey containing bee pollen has been getting a lot of attention. According to them, eating two tbsp.. of honey daily at least two months before the allergy season helps in desensitizing the effect of pollen. While there is no evidence that honey desensitizes people to allergens, it is definitely a great cough suppressant. Consume lots of fresh citrus fruits (oranges, lime and lemons) to ease your allergy symptoms. Have lots of lemonade, several times during the day. Quercetin is a bioflavonoid, which is commonly found as a supplement along with Vitamin C, is an effective antihistamine. Citrus fruits, onions, apples, tea, parsley, tomatoes, broccoli, lettuce and wine are naturally high in quercetin. Inhale vinegar vapors to open nasal passages. However do not overuse, as vinegar is highly acidic. You can also mix 2 tbsp. of vinegar with 200 ml of water and drink the mixture when the allergy symptoms begin. Daily intake of fish oil supplements lead to lower levels of leukotrienes, the chemicals that contribute to pollen allergy reaction. Peppermint tea has menthol, which works as a decongestant and expectorant and helps in breaking down mucus to clear your nose. Green tea has antioxidant properties that lessen allergic reactions. If you have pollen allergy, avoid chamomile tea as it can cause reactions in people allergic to ragweed. Take a quick shower and change clothes every time you enter your home. Dust mites, pollen and mold are the most common triggers for allergy at home. Use dry bleaching solution to get rid of mold in basement and garages. Ensure that the objects are thoroughly dry to prevent regrowth. Get a good HEPA air filter to prevent pollen from recirculating in your home. Vacuum your home frequently during the pollen season and try changing the filter every two to three days. Run a dehumidifier in your home to keep the environment dry as humidity worsens allergies. Try to keep the humidity levels between 30-50%. Change your bed linen every week and launder them in hot water. Do your outdoor workouts in the evening. Many trees release pollen in the morning and the allergy worsens with the exposure. This is just an informative post on home remedies for pollen allergy. It is highly recommended to consult your doctor before taking any supplements / medicines. 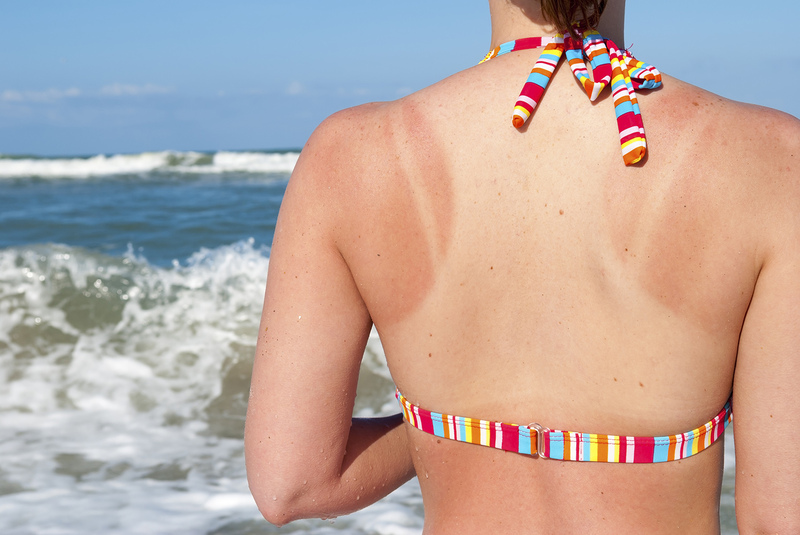 Home remedies for sunburn:Sunburns are harmful for your skin and can be very painful. See these home remedies to ease the discomfort and soothe your skin.